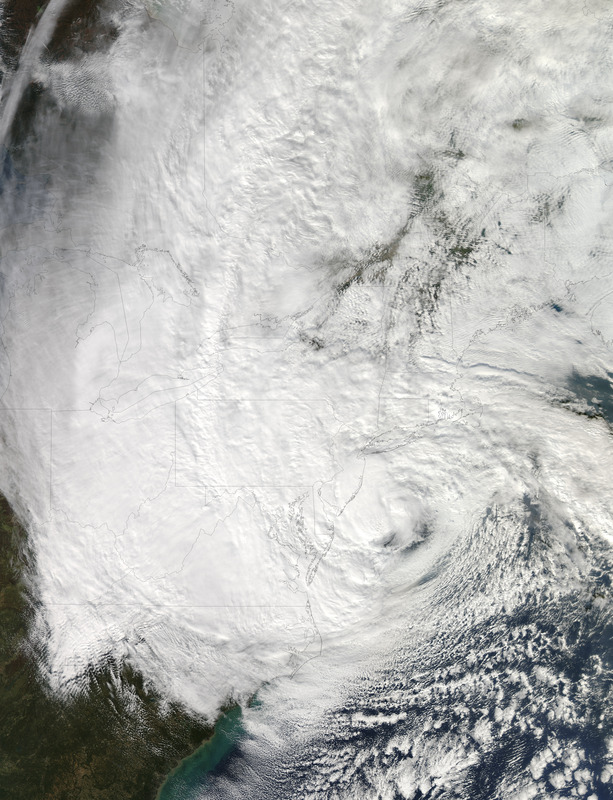 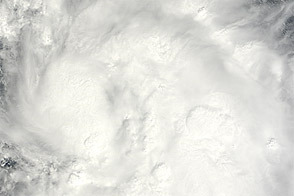 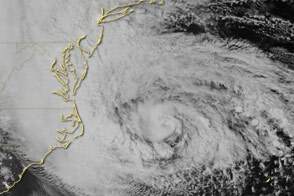 The Moderate Resolution Imaging Spectroradiometer (MODIS) on NASA’s Aqua satellite acquired this image of Hurricane Sandy at 2:20 p.m. Eastern Daylight Time (18:20 Universal Time) on October 29, 2012. 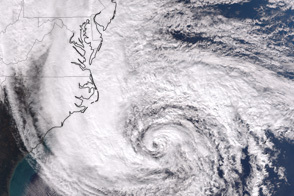 At 2 p.m. EDT, the U.S. National Hurricane Center reported that the storm was located at 38.3° North and 73.1° West, about 110 miles (180 kilometers) southeast of Atlantic City, New Jersey, and 175 miles (285 kilometers) south-southeast of New York City. 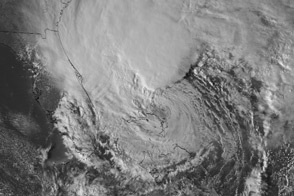 Maximum sustained winds were 90 miles (150 kilometers) per hour, and the central pressure was 940 millibars (27.76 inches). 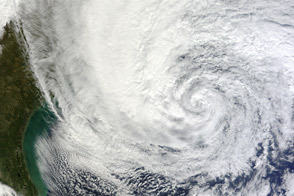 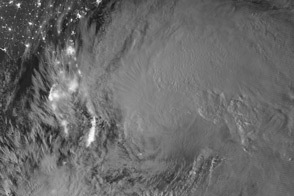 On YouTube, you can view a time-lapse video showing the evolution of Hurricane Sandy from dawn to dusk on October 29. 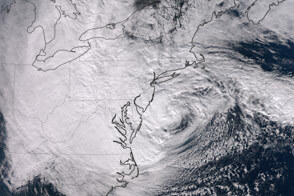 Also, visit our Hurricane Sandy event page and the NASA Hurricane Resource Page. 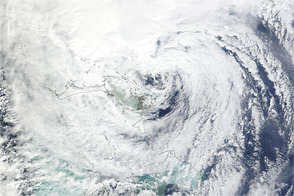 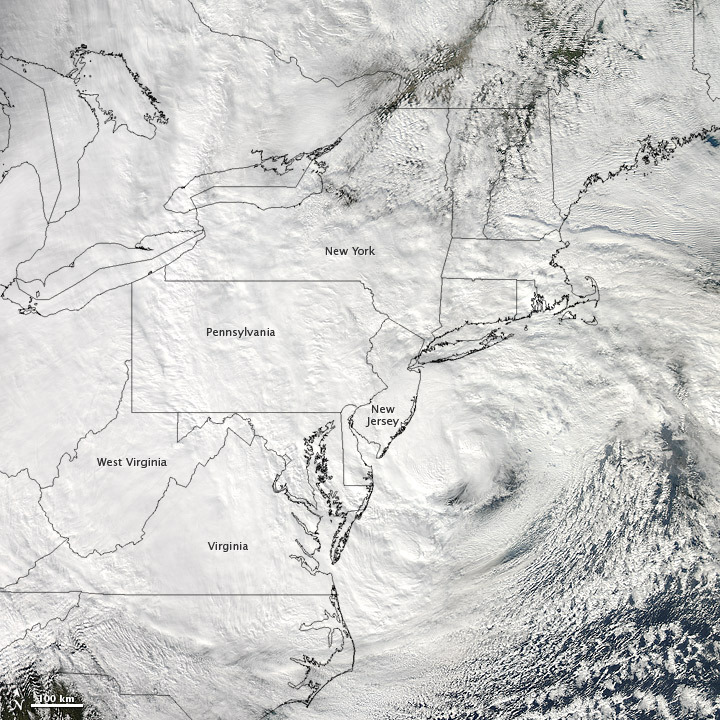 NASA’s Aqua satellite acquired this natural-color view of the storm just before it hit New Jersey.